Comment: I have a few pieces of siding that need to be replaced. the siding is wood. then it would need to be painted. If it can't all be done at once, I will accept in stages. Thank You. Comment: Large hole, possibly caused by a raccoon, in facia board and soffit. Need new wood put in and painted to match. Existing wood can be used for color match. Hole is reachable by a steep roof, work would need to be done by using those foam pads that allow you to not slide down the roof. Comment: I want the exteriorÂ Â» rotten wood trim replaced & exterior of house painted. Comment: Looking to have a few pieces of siding replaced as well as some trim pieces. Also looking to have the exterior painted. Comment: Exterior wood siding repair/ more than likely full replacement. Open to different materials being used. 1200 square foot home. Also have additional exteriors that I would love to get handled if possible (door & window replacement, roof repair). If not I will use another contractor for those jobs. Cordova Siding Contractors are rated 4.73 out of 5 based on 474 reviews of 29 pros. 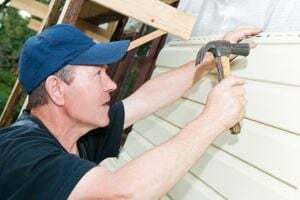 Not Looking for Siding Contractors in Cordova, TN?